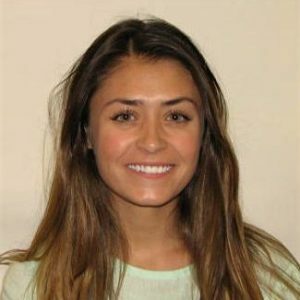 Megan Bradley (Sport and Human Dynamics ’15) is in her final year in the Master of Public Health program at Columbia University’s Mailman School of Public Health, while also working at Rabin Martin, a global health consulting firm that does global health communications and strategy work. Her Capstone Thesis titled “Growing Food and Community: An Exploration of Local Food Initiatives in Cape Town, South Africa” examined the role of local food initiatives in sustainable community development. Megan enjoyed her time in the Honors program and while reflecting on her experience, she noted that “Honors challenged me to think critically and apply concepts I had learned throughout my time at Syracuse,”. She further indicated that, “the rigorous and diverse classes made me a more well-rounded student and individual.” She especially loved the field trips!